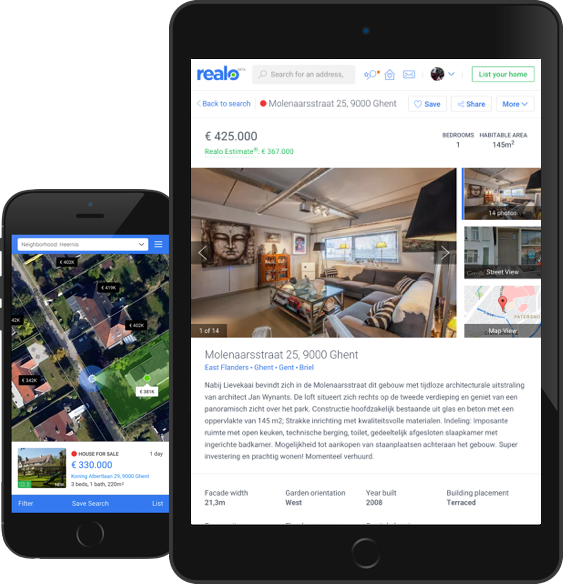 Realo - Sell your home, publish for free. Publish your property on Realo. To help you with determining the asking price, we provide you with a free estimate report of your property (residential properties only). Your publication stays online until it's sold or rented out. Immediately reach more than 1 million visitors per month that search for a new home on Realo. Do you need some help instead? Realo can help you to find the real estate agency that best suits your needs. Realo’s mobile app allows you to easy put your home on the market.